Yesterday I went to a workshop carried out by the London Web Performance Group, The Good, the Bad and the Ugly of the HTTP Archive. I was really surprised with the content of the talk, in addition pizza and beer was provided at the end of the talk. Furthermore, a position to work in Google was announced there and they even have a lottery with free tickets for the next Velocity conference in USA. This same talk was held in Velocity Conference in New York this year. The speakers were Robin Osborne @rposbo and Dean Hume @deanohume, two developers that share a common interest in Web performance. So what is HTTP Archive? 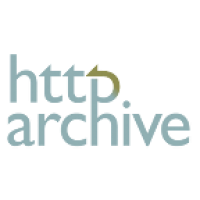 The HTTP Archive is a vast data store of web sites (http://httparchive.org/), it collects the web content, how it is served and constructed. It runs once every month and it collects a lot of information about performance, including load time, page size, http requests and much more. The information is stored in MySQL and can be downloaded. The problem is the size of the file, some hundred terabytes. Bigquery makes it really easy to query big data. We can run SQL queries really fust. In addition, we have bigqueri.es, comunity of people sharing queries to be run for HTTP Archive. They provide the sample sql query together with some results and discussion with other members. One can also post his own query and ask questions. So Robin and Dean created a couple of benchmarking queries. They aim not only to get the best and worst web site, but more importantly, check what they were doing good or bad in terms of performance. Yesterday they shared their main conclusion. -They took out the main 100 websites. This is because big companies have dedicated teams for performance, they wanted to know what they can in their daily basis as regular developers. -Measurements: Fully Loaded time, Page downloading size, page speed (0-100), speed index (how quicly different check points in the page loading takes). -If sites were usable and modern, if they follow best practices, and bonus if the site was responsive. Very good performant and responsive page, and they blog about how they do it. His trick is reducing the critical path, this means getting the main content in the beginning, when the site is loading. Monitor is key for them: They monitor every new feature they release. They use: ShowSlow.com, statsD and graphite. -Start small: A blank page is always going to be the fastest, start from there. Add only what is needed. -Caching: Heavy use of caching, makes sense since they are a search provider. HTTP caching. Stick to basics and aim for low hanging fruit. They think about performance from the earliest design stage. If users add their own images you need a performance strategy. In this case they didn´t ask directly to the web sites, to avoid dissapointing them. Instead, Robin and Dean asked themself, if they could do one single thing to improve these sites´performance, what would it be? 15.5 MB images loaded in start up. And this is because a carousel of images. One simple trick: Remove carousels, it has been studied that 1% users care about carousel. Can it go even worse? The reason is that the build 15000 dom elements in the beginning, because of an everlasting scrolling in the home page. It takes 1 min loading completely, because of lots of images. Its a great page, with reasonable measures, but... they scored 11 out of 100. The reason is because they have a video looping in the background, is not streaming, it downloads the entire video, again and again. One great part of the talk. Robin and Dean explained that performance can be measure and automated in the build process. We can use PSI, that measures performance, automate into build, so it fails if speed is bigger than some threshold. The problem with PSI is that it needs to expose a public url, and that means that functionality needs to be released. So what happens if we want to automate our own main current developed branch. We can use NGROK, which creates a secure tunnel to localhost, and then PSI can run using it. So that´s it for today. Keep coding and being performant!